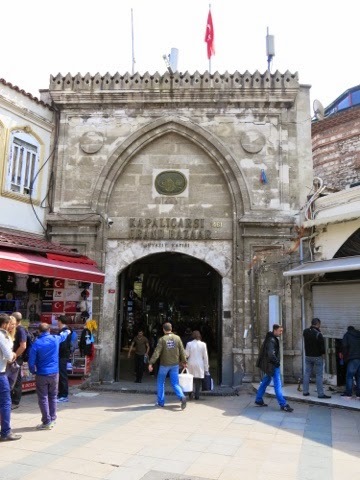 "Merhaba" from Turkey. 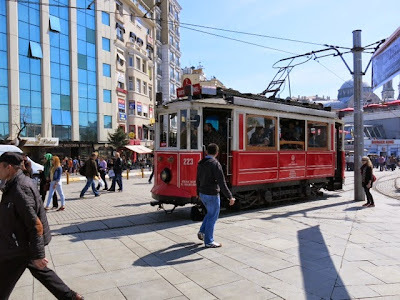 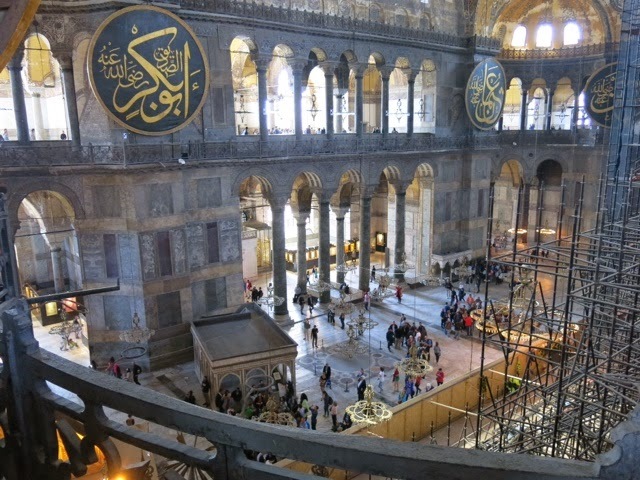 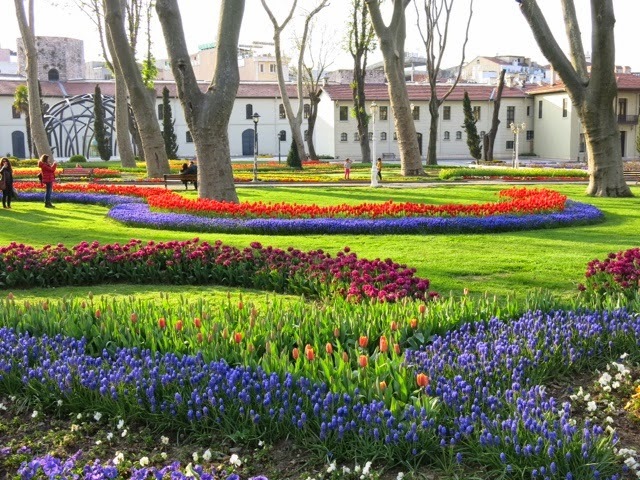 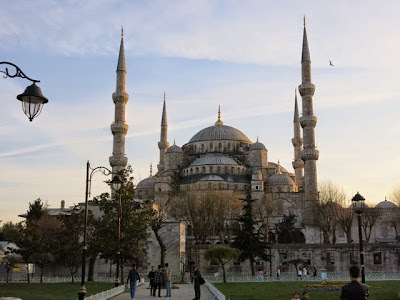 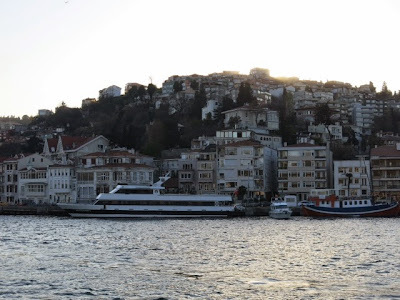 My wife, Mona and myself have just started our group coach tour after 3 nights in Istanbul. 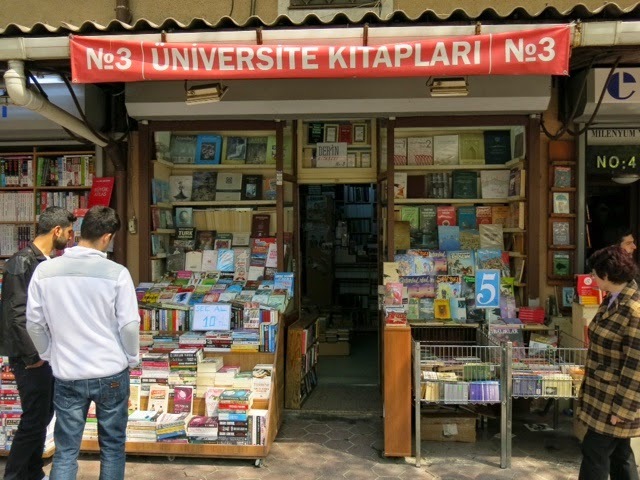 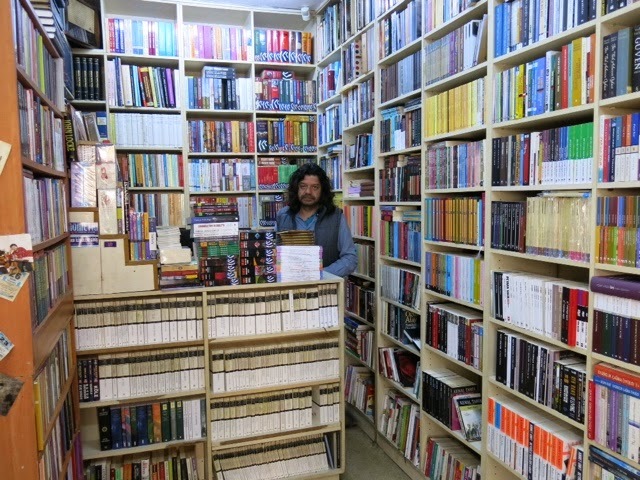 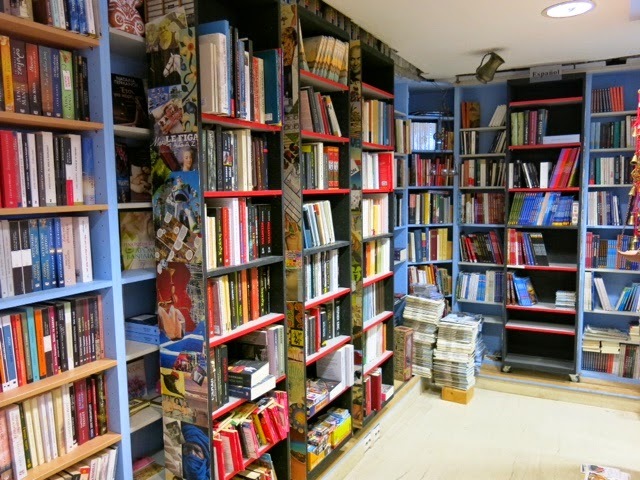 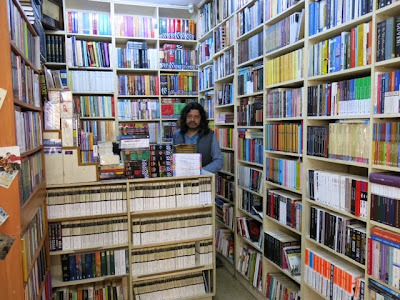 While in Istanbul I managed to find several new bookshops but there were no Turkish language Bonds on the shelves. 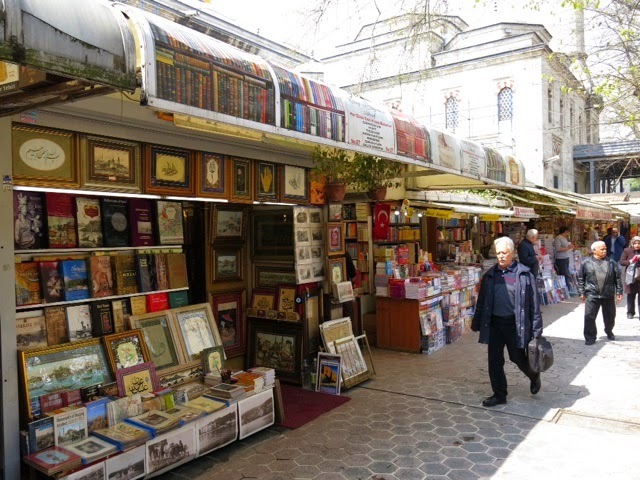 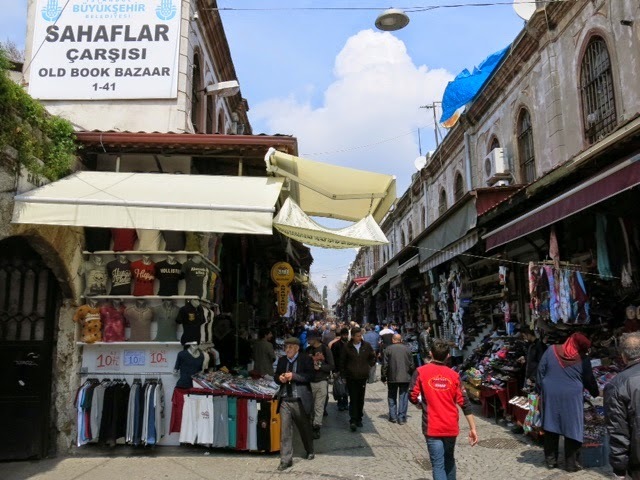 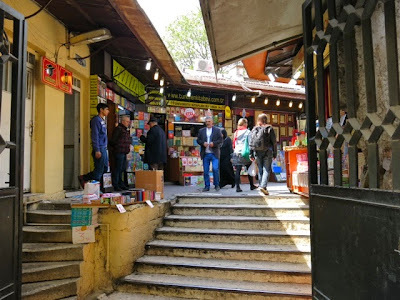 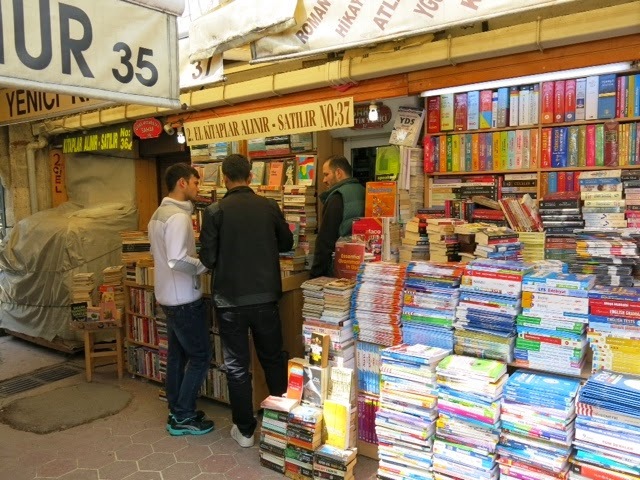 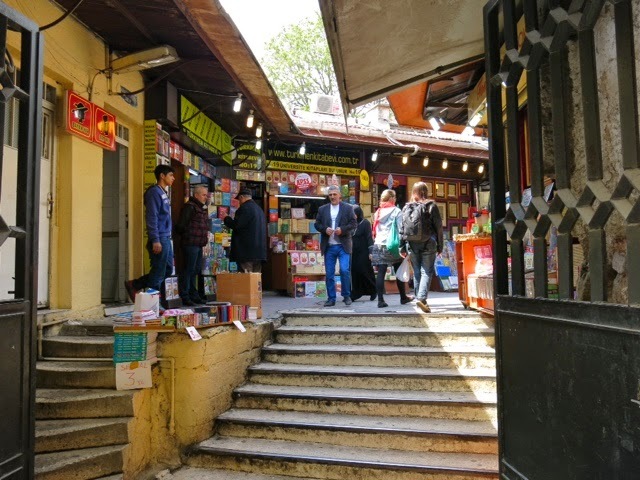 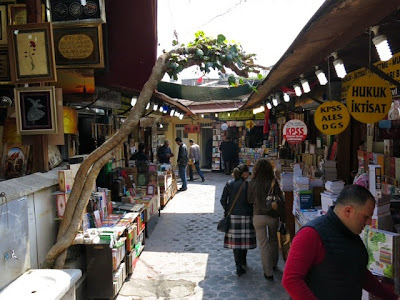 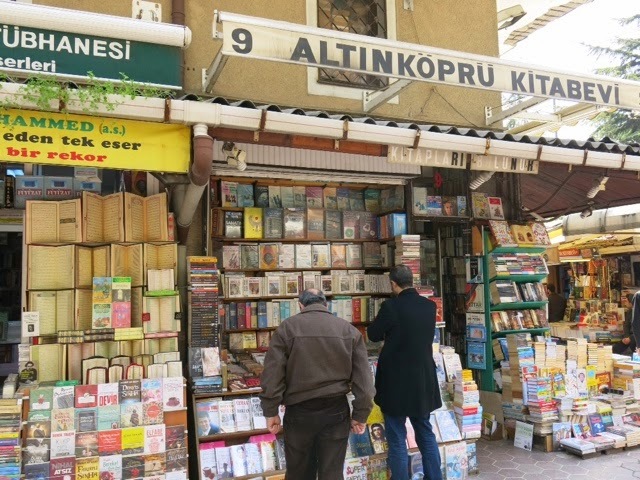 But on our first visit to the Grand Bazaar we soon found the "Han" dedicated to books. 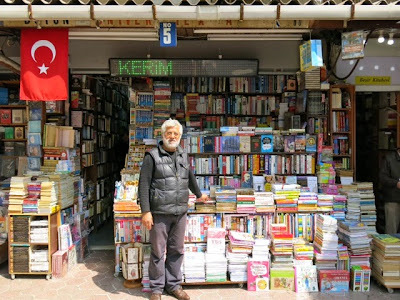 My Turkish is very limited however the name "James Bond" is so universal I quickly had store holders checking their shelves and then speaking to other store holders on my behalf. 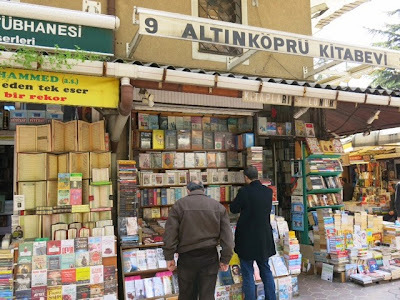 One very helpful store holder scoured through the books outside his store and found this Turkish edition of "Carte Blanche". 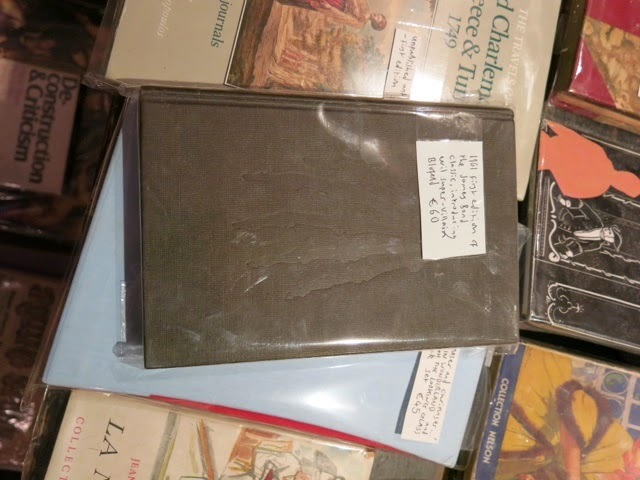 I immediately expressed my delight and purchased it. 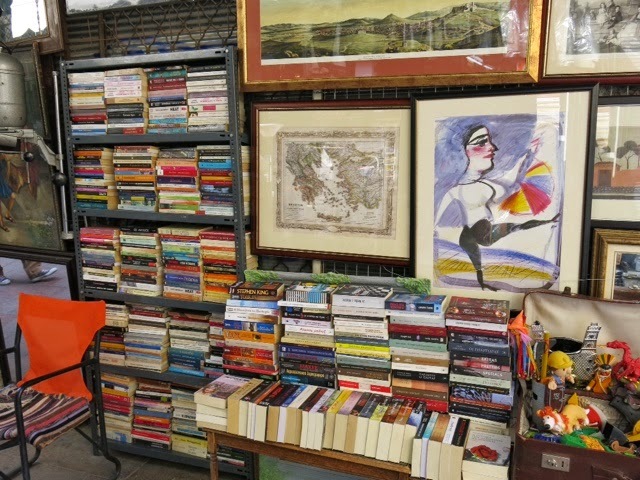 It was in great condition so hopefully it will remain so while in my suitcase during the rest of the holiday. 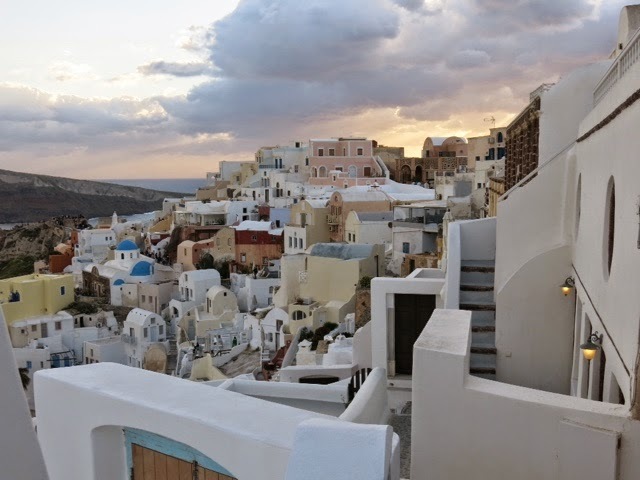 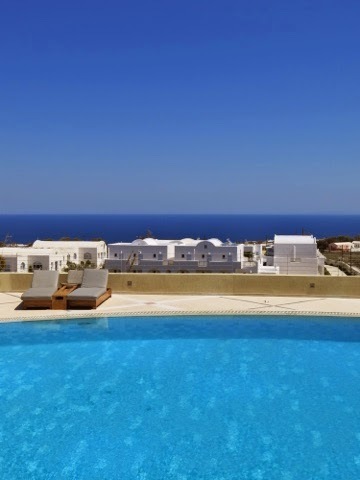 "Kalispera" from Santorini, a beautiful Greek Island in the Aegean Sea. 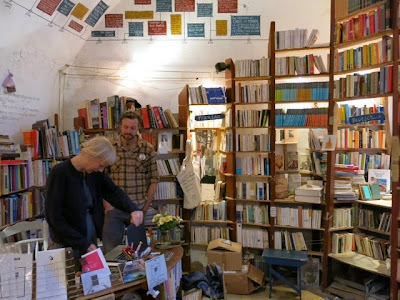 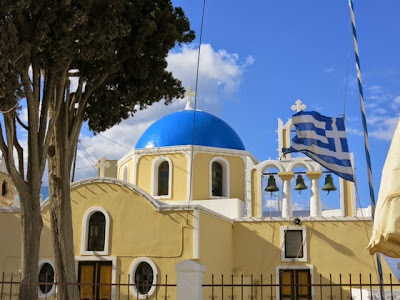 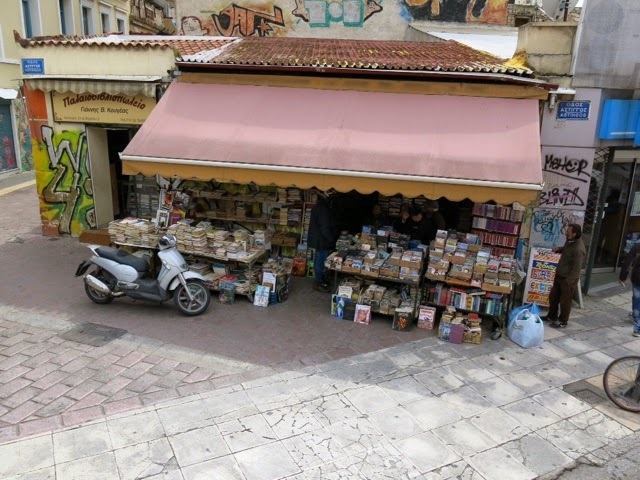 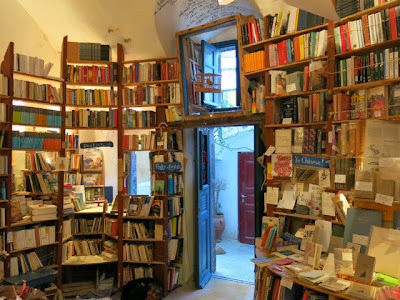 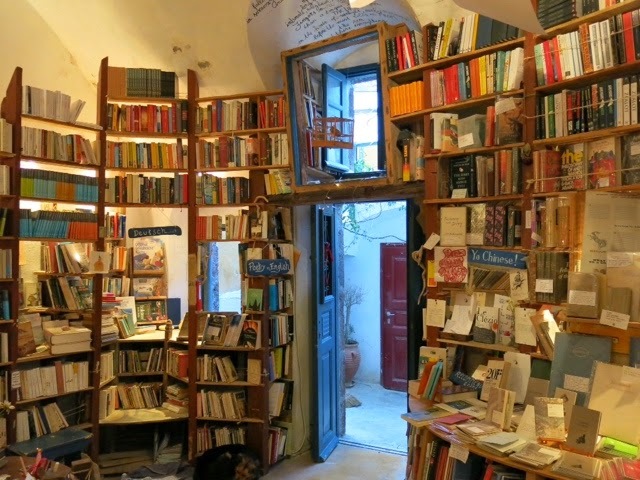 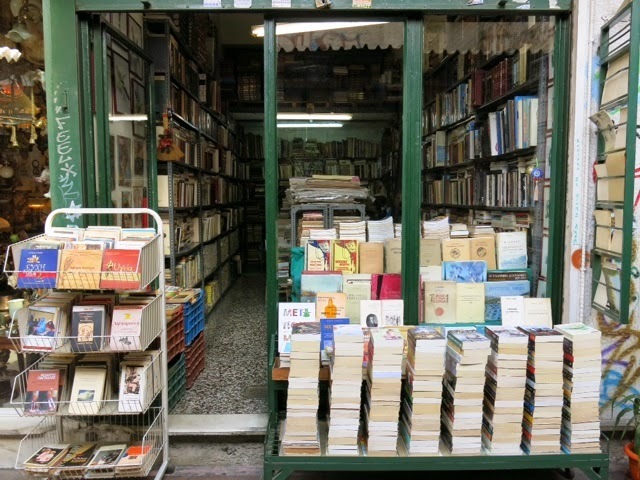 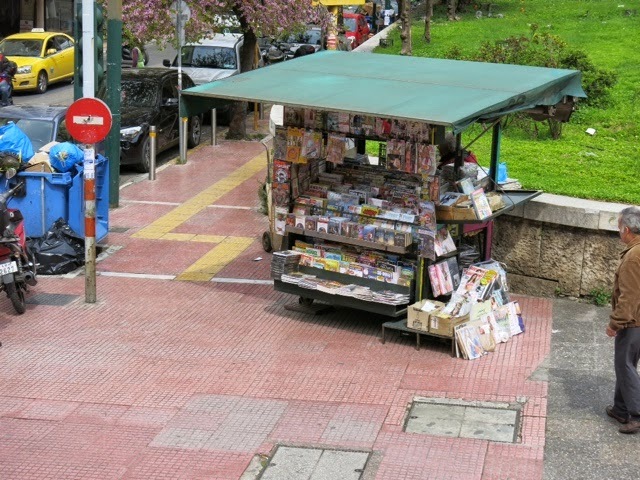 Despite being Greek Easter we are fortunate to find almost all the shops open, including the island's book stores in Oia and Fira. 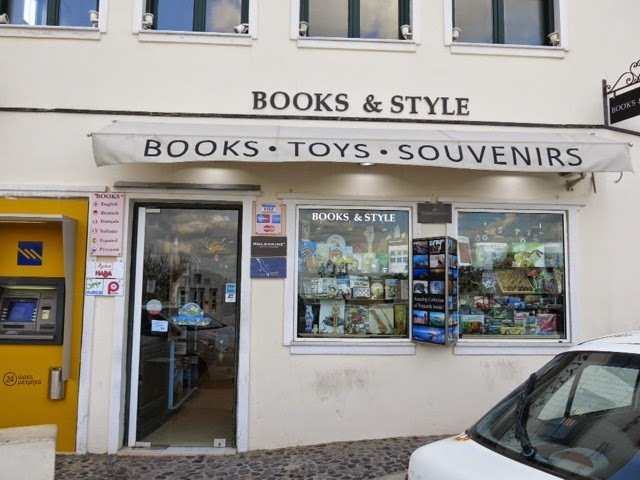 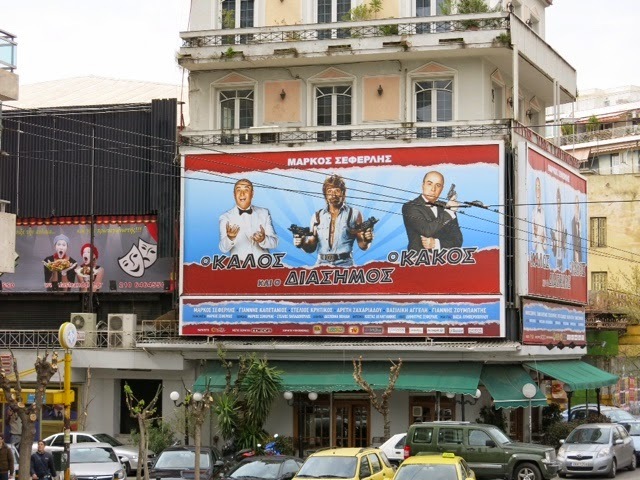 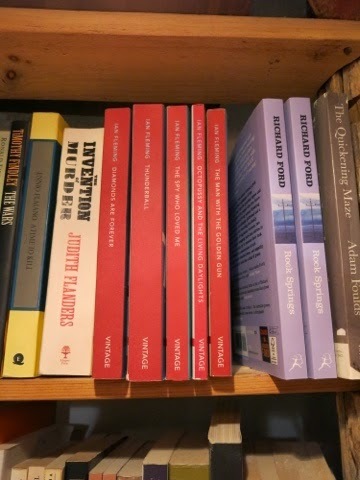 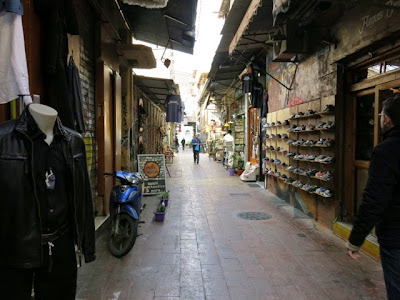 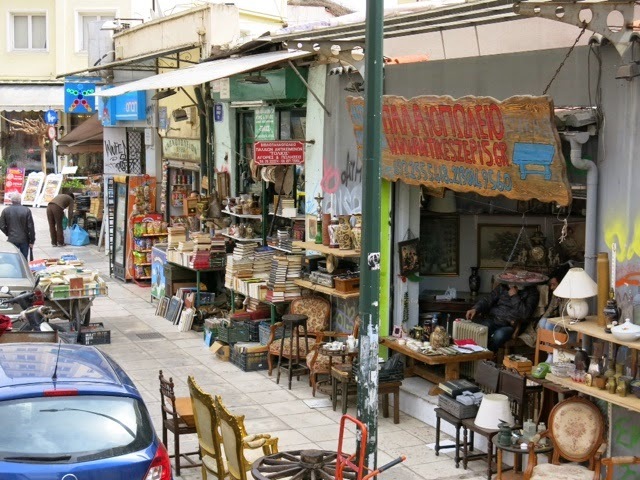 ... we then found the Books & Style Store which had a Greek edition of William Boyd's "Solo". The cover is very similar to the English large edition published by Jonathan Cape. 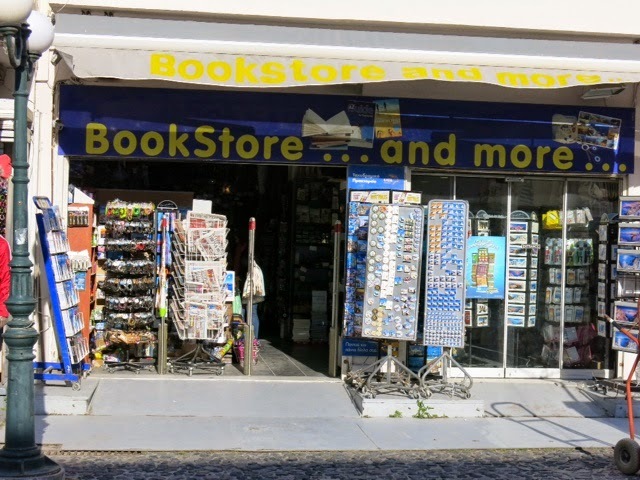 I decided to purchase it and the owner of the store asked if I would like the front page stamped as a souvenir of Santorini. 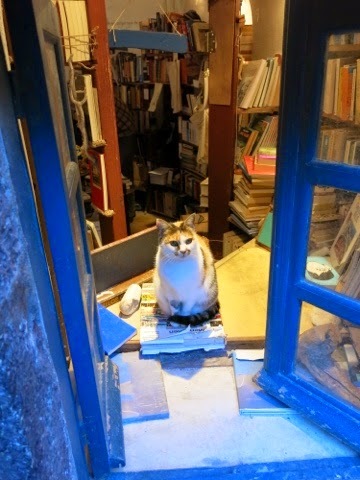 I replied "Ne" (Yes). 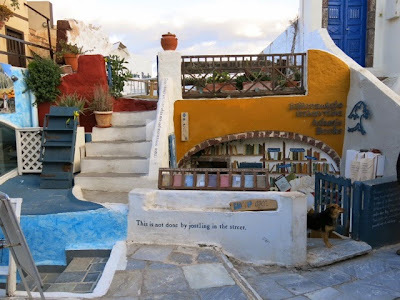 A nice reminder of a beautiful island. Here's some snaps of the Book & Style Store. 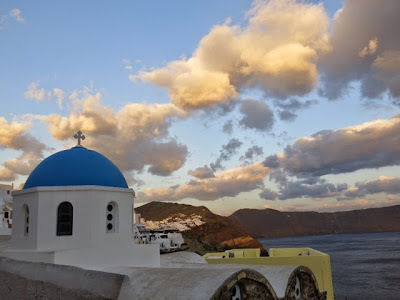 We also travelled to Oia via the public bus to watch the sun set. 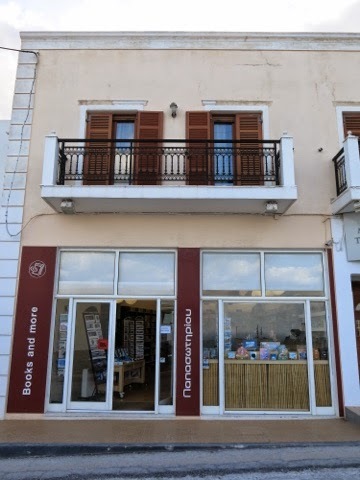 Atlantis Books, easily the most famous book store on the island, is located here and was still open. 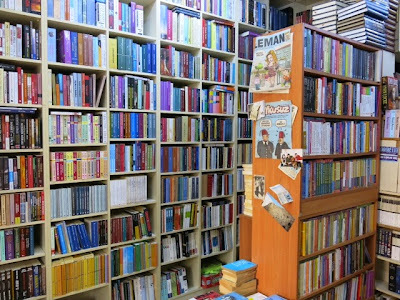 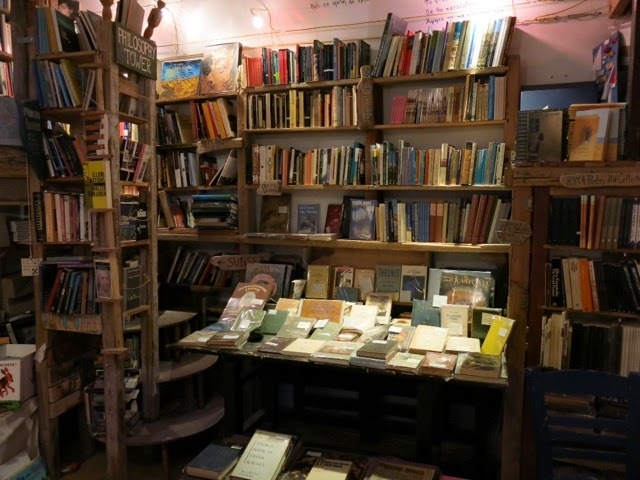 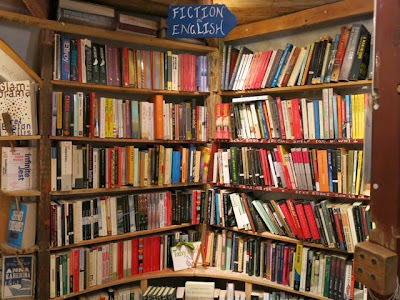 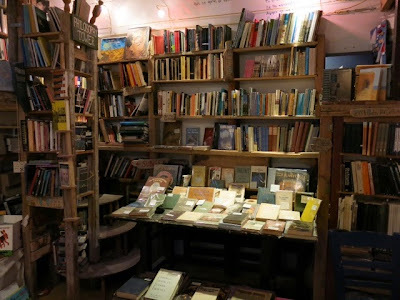 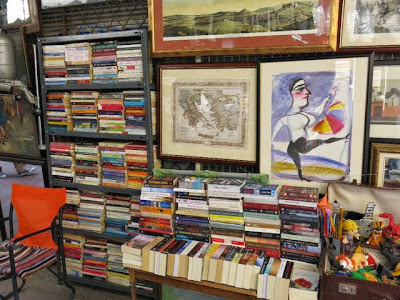 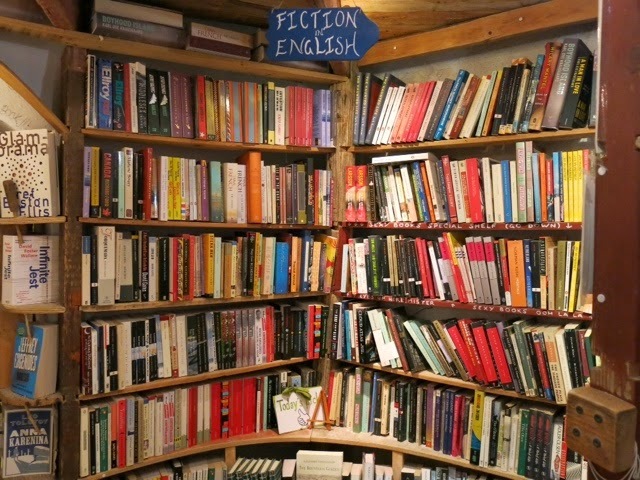 Opened by some English expats, Atlantis Books is like a cavern filled with great quality second-hand books. The owners are also very helpful and enthusiastic. 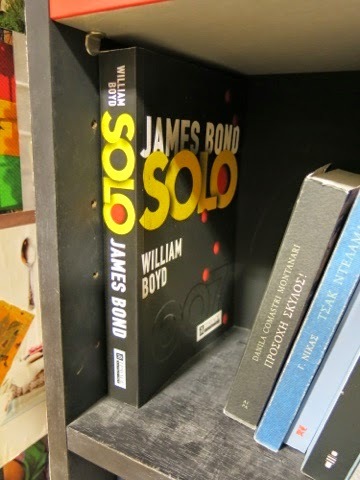 They had a first edition of "Thunderball" sans dust-jacket for sale as well as some Bond's published by Vintage. 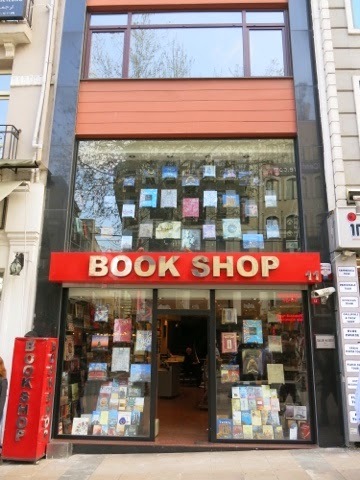 As I already had these I didn't purchase anything but they kindly allowed me to take some snaps of their fantastic store. Finally, here's some photos of Santorini. 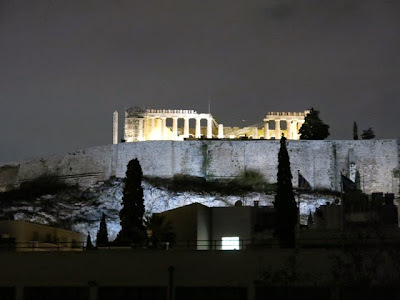 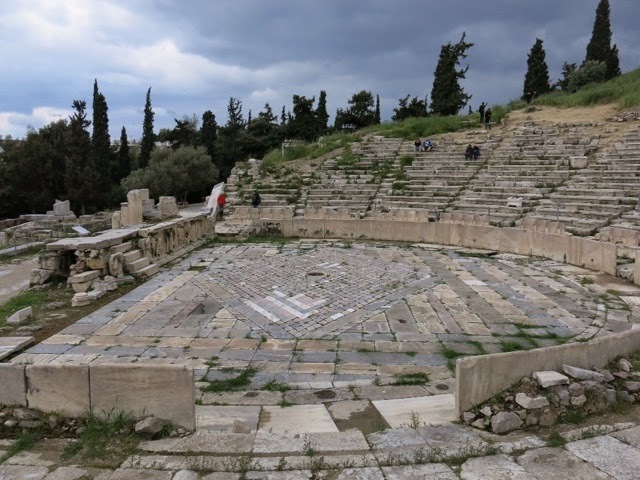 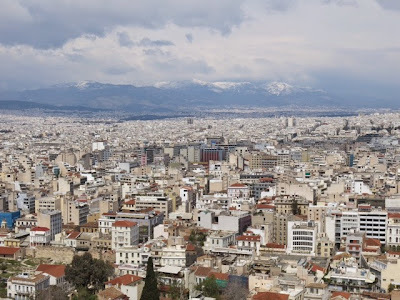 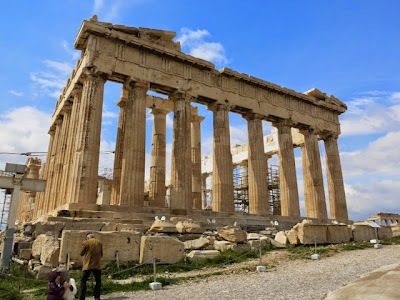 If you ever travel to Greece it's definitely worth a visit.